A brand new Billy the Kid book is on the way from publisher Dark Horse Comics and it looks like it's packing a healthy dose of weird. Billy the Kid's Old Timey Oddities and the Orm of Loch Ness (that's a mouthful) is headed to cadmic shops from Eric Powell and Kyle Hotz. From the minds of Eric Powell (The Goon, Buzzard, Chimichanga) and Kyle Hotz (Buzzard, Zombie, The Hood, The Agency) comes the next arc in Billy the Kid’s wild adventures! The world believes the notorious outlaw Billy the Kid was killed by Pat Garrett, but in reality the Kid is very much alive, the hired gun of Fineas Sproule’s traveling spectacle of biological curiosities—or “freaks,” as Billy calls them. In their latest adventure, Billy and crew head to Loch Ness to rescue their lizard-skinned comrade Callahan from the wrath of Count Dracula. If you're into stuff like the recently released Abe Lincoln Vampire Hunter and the League of Extraordinary Gentlemen (which Billy has been compared to), then Billy the Kid has a very good chance of being right up your alley. Melding historical figures with the supernatural has been slowly creeping up there in popularity over the last few years and this is one of the coolest ideas I've seen. Take a legendary gunslinger like the Kid and throw him up against a hidden world of horror? That's just a plain old good time right there. 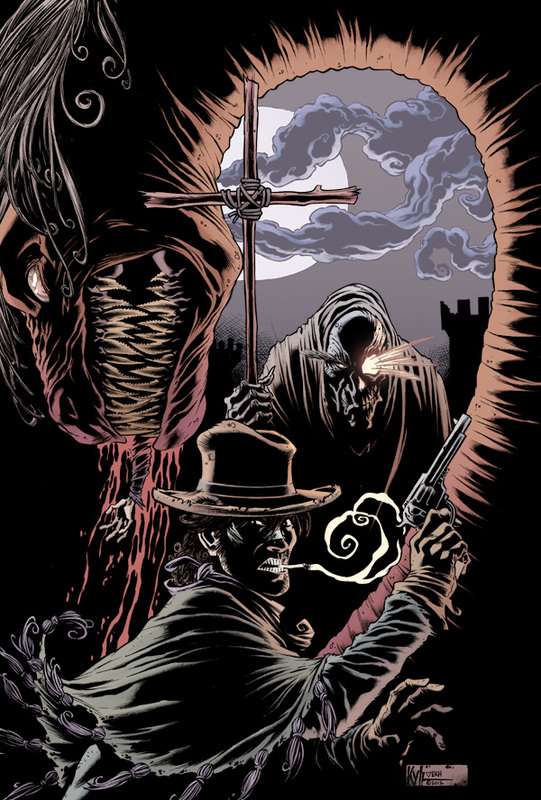 Look for Billy the Kid's Old Timey Oddities and the Orm of Loch Ness to hit comic shops this October the 17th.